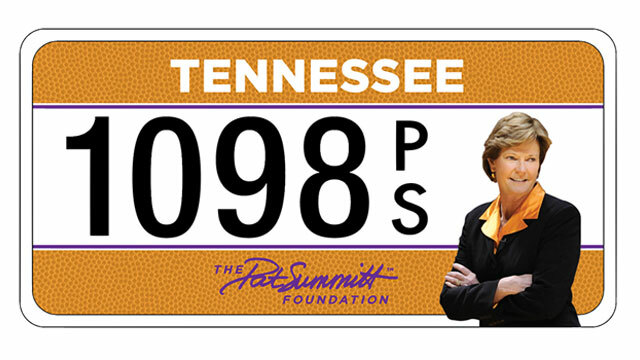 The Pat Summitt Foundation has reached half its goal for pre-orders for its new specialty license plate. Tennessee requires at least 1,000 pre-orders to start the production of the new license plate and as of July 5, 583 have been preordered. The original deadline to pre-order the plates was June 30, 2017, but it has been extended an extra year. The state will issue refunds if it doesn’t reach the necessary amount of pre-orders by June 30, 2018.